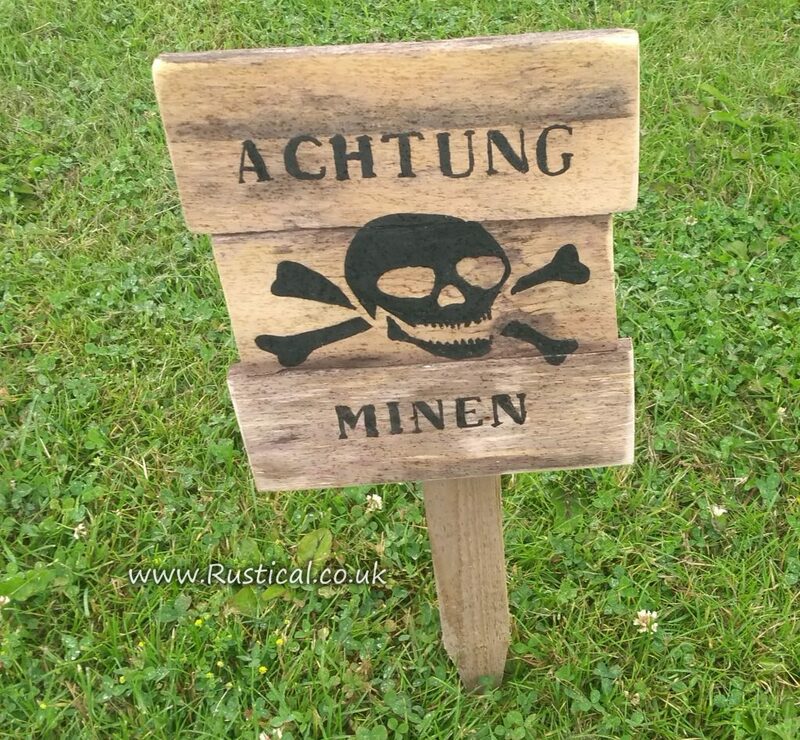 A request for a wooden Achtung Minen sign for use as a prop at an event is not an every day request but I have learnt it never to be wise to be asking too many questions. Whilst waiting for it to be collected it has been pressed into active service sending a not so guarded message to our errant local dog walkers. We’ll see if it makes any difference.